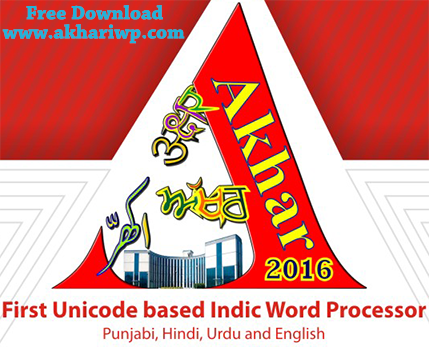 Umrinderpal Singh, Vishal Goyal and Gurpreet Singh Lehal, "Urdu to Punjabi Machine Translation: An Incremental Training Approach", (IJACSA) International Journal of Advanced Computer Science and Applications, Vol. 7, No. 4, pp. 227-238 (2016). Gurpreet Singh Lehal, Tejinder Singh Saini, Pretpal Kaur Buttar, “Automatic Bilingual Legacy-Fonts Identification and Conversion System", Research in Computing Science 86 (2014), pp. 9-23. Jasbir Singh and Gurpreet Singh Lehal, “Comparative Performance Analysis of Feature(S)-Classifier Combination for Devanagari Optical Character Recognition System", International Journal of Advanced Computer Science and Applications, Vol. 5, No. 6, pp. 37-42 (2014). Rajneesh Rani, Renu Dhir and Gurpreet Singh Lehal, “Gabor Features Based Script Identification of Lines within a Bilingual/Trilingual Document”, International Journal of Advance Science and Technology, Vol. 66, pp. 1-12 (2014). Vishal Gupta and Gurpreet Singh Lehal, “Automatic Text Summarization System for Punjabi Language”, Journal of Emerging Technologies in Web Intelligence, Vol 5, No 3, pp. 257-271 (August 2013). C. P. Kamboj and Gurpreet Singh Lehal, “ ਪੰਜਾਬੀ ਭਾਸ਼ਾ ਦੇ ਕੰਪਿਊਟਰੀਕਰਨ ਦੀ ਸਥਿਤੀ, ਸਮੱਸਿਆਵਾਂ ਅਤੇ ਸਮਾਧਾਨ : ਇੱਕ ਸਰਵੇਖਣ ”, Samdarshi, Punjabi Academy, Delhi, Issue No. 132 (March-April 2013). Vishal Gupta and Gurpreet Singh Lehal, “A Survey of Common Stemming Techniques and Existing Stemmers for Indian Languages”, Journal of Emerging Technologies in Web Intelligence, Vol 5, No 2, pp. 157-161 (May 2013). 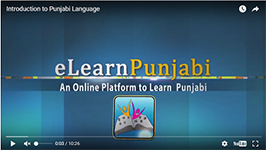 Vishal Gupta and Gurpreet Singh Lehal, “Named Entity Recognition for Punjabi Language Text Summarization”, International Journal of Computer Applications, Vol. 33, No. 3, pp. 28-32 (2011). Vishal Gupta and Gurpreet Singh Lehal, “Features Selection and Weight learning for Punjabi Text Summarization”, International Journal of Engineering Trends and Technology, Vol. 2, No. 2, pp. 45-48 (2011). V Gupta and G. S. Lehal, “Automatic Keywords Extraction for Punjabi Language”, International Journal of Computer Science Issues, Vol. 8, No. 5, pp. 327-331 (2011). K. K. Batra and G. S. Lehal, “Automatic Translation System from Punjabi to English for Simple Sentences in Legal Domain”, International Journal of Translation, Vol. 23, No. 1, pp. 79-98 (2011). P Singh and G. S. Lehal, “Syllables Selection for the Development of Speech Database for Punjabi TTS System”, IJCSI International Journal of Computer Science Issues, Vol. 7, Issue 6, pp. 164-168 (November 2010). K K Batra and G S Lehal, “Rule Based Machine Translation of Noun Phrases from Punjabi to English”, IJCSI International Journal of Computer Science Issues, Vol. 7, Issue 5, pp. 409-413 (September 2010). V Gupta, G.S.Lehal, “A Survey of Text Summarization Extractive Techniques”, Journal of Emerging Technologies in Web Intelligence , Volume 2, No. 3, pp. 258-268 (2010). V Goyal, G.S.Lehal, “Web Based Hindi to Punjabi Machine Translation System”, Journal of Emerging Technologies in Web Intelligence , Volume 2, No. 2, pp. 148-151 (2010). G S Lehal, “A Survey of the State of the Art in Punjabi Language Processing”, Language In India, Volume 9, No. 10, pp. 9-23 (2009). V Goyal and G S Lehal, "Evaluation of Hindi to Punjabi Machine Translation System", International Journal of Computer Science Issues, Volume 4, No. 1, pp. 36-39 (2009). M K Jindal, G S Lehal and R K Sharma, “On Segmentation of Touching Characters and Overlapping Lines in Degraded Printed Gurmukhi Script”, International Journal of Image and Graphics, Volume 9, No. 3, pp. 321-353 (July 2009). V Gupta and G S Lehal, "A Survey of Text Mining Techniques and Applications", Journal of Emerging Technologies in Web Intelligence, Volume 1, No. 1, pp. 60-76 (August 2009). G S Josan and G S Lehal, “Size of N for Word Sense Disambiguation using N Gram Model for Punjabi Language”, International Journal of Translation, Vol. 20, No. 1-2, pp. 47-56 (2008). T S Saini and G S Lehal “Shahmukhi to Gurmukhi Transliteration System: A Corpus based Approach”, Research in Computing Science (Mexico), Volume 33, pp. 151-162 (2008). M K Jindal, R K Sharma and G S Lehal, "Segmentation of Horizontally Overlapping Lines in Printed Indian Scripts", International Journal of Computational Intelligence Research (IJCIR), Volume 3, No. 4, pp. 277-286 (Dec 2007). G S Lehal, "A Gurmukhi Collation Algorithm", International Journal of Systemics, Cybernetics and Informatics, pp. 60-64 (Jan 2007). G S Lehal, "Design and Implementation of Punjabi Spell Checker", International Journal of Systemics, Cybernetics and Informatics, pp. 70-75 (Jan 2007). G S Joshan and G S Lehal, "Evaluation of Direct Machine Translation System from Punjabi to Hindi", International Journal of Systemics, Cybernetics and Informatics, pp. 76-83 (Jan 2007). G. S. Lehal and Chandan Singh, "A Complete Machine Printed Gurmukhi OCR System", Vivek, pp. 10-17, Vol. 16, No. 3. (2006). G S Lehal and Chandan Singh, “A Post Processor for Gurmukhi OCR”, SADHANA Academy Proceedings in Engineering Sciences, Vol. 27, Part 1, pp. 99-112, (2002). G S Lehal and Chandan Singh, “Feature extraction and classification for OCR of Gurmukhi script”, Vivek, Vol. 12, No. 2, pp. 2-12 (1999). 4. Gurpreet Singh Lehal, “A Bilingual Gurmukhi-English OCR based on multiple script identifiers and language models”, Proceedings of 4th International Workshop of Multilingual OCR, Article No. 2, Washington DC, USA. (2013). 5. Gurpreet Singh Lehal and Ankur Rana, “Recognition of Nastalique Urdu Ligatures”, Proceedings of 4th International Workshop of Multilingual OCR, Article No. 6, Washington DC, USA. (2013). 16. Vishal Gupta and Gurpreet Singh Lehal, “Punjabi Language Stemmer for nouns and proper names”, Proceedings of the 2nd Workshop on South and Southeast Asian Natural Language Processing (WSSANLP), IJCNLP 2011, Chiang Mai, Thailand, pp. 35–39. (2011). 17. Manoj K. Sachan, Gurpreet Singh Lehal, and Vijender Kumar Jain, “A Novel Method to Segment Online Gurmukhi Script”, Information Systems for Indian Languages, Communications in Computer and Information Science, Vol. 139, Springer-Verlag, pp. 1-8. (2011). 18. Parminder Singh and Gurpreet Singh Lehal, “A Rule Based Schwa Deletion Algorithm for Punjabi TTS System”, Information Systems for Indian Languages, Communications in Computer and Information Science, Vol. 139, Springer-Verlag, pp. 98-103. (2011). 19. Gurpreet Singh Lehal, and Tejinder Saini, “A Transliteration Based Word Segmentation System for Shahmukhi Script”, Information Systems for Indian Languages, Communications in Computer and Information Science, Vol. 139, Springer-Verlag, pp. 136-143. (2011). 20. Jasbir Singh and Gurpreet Singh Lehal, “Optimizing Character Class Count for Devnagari Optical Character Recognition”, Information Systems for Indian Languages, Communications in Computer and Information Science, Springer-Verlag, pp. 144-149. (2011). 21. Rajneesh Rani, Renu Dhir, and Gurpreet Singh Lehal, “Comparative Analysis of Gabor and Discriminating Feature Extraction Techniques for Script Identification”, Information Systems for Indian Languages, Communications in Computer and Information Science, Vol. 139, Springer-Verlag, pp. 174-179. (2011). 24. G. S. Lehal, “A Word Segmentation System for Handling Space Omission Problem in Urdu Script”, Proceedings of the 1st Workshop on South and Southeast Asian Natural Language Processing (WSSANLP), pp. 43–50, the 23rd International Conference on Computational Linguistics (COLING), Beijing. (2010). 26. G. S. Lehal, “A Gurmukhi to Shahmukhi Transliteration System”, Proceedings of 7th International Conference on Natural Language Processing, pp. 167-173, Hyderabad, India. (2009). 27. D. Sharma, G. S. Lehal, "Shape Encoded Post Processing of Gurmukhi OCR", Proceedings of 9th International Conference of Document Analysis and Recognition, Barcelona, IEEE Computer Society Press, California, USA, pp 788-792. (2009). 28. D. Sharma, G. S. Lehal, "Form Field Frame Boundary Removal for Form Processing System in Gurmukhi Script", Proceedings of 9th International Conference of Document Analysis and Recognition, Barcelona, Spain. (2009). 29. G.S. Lehal, "Optical Character Recognition of Gurmukhi Script using Multiple Classifiers", Proceedings of International Workshop of Multilingual OCR, Article No. 7, Barcelona, Spain. (2009). 30. M.K. Jindal, R.K. Sharma, G.S. Lehal, "Segmentation of touching characters in upper zone in printed Gurmukhi script", Proceedings of the 2nd Bangalore Annual Compute Conference, Bangalore, Publisher ACM, USA, Paper No. 9. (2009). 31. M. S. Gill and G. S. Lehal, “A Grammar Checking System for Punjabi”, Coling 2008: Companion volume: Posters and Demonstrations, Manchester, UK, pp. 149-152 (August 2008). 32. G. S. Josan and G. S. Lehal, “A Punjabi to Hindi machine Translation System”, Coling 2008: Companion volume: Posters and Demonstrations, Manchester, UK, pp. 157-160 (August 2008). 33. T. S. Saini, G. S. Lehal and V. S. Kalra, “Shahmukhi to Gurmukhi Transliteration System”, Coling 2008: Companion volume: Posters and Demonstrations, Manchester, UK, pp. 177-180 (August 2008). 34. V. Goyal and G. S. Lehal, "Hindi Morphological Analyzer and Generator", Proceedings First International Conference on Emerging Trends in Engineering and Technology, Nagpur, IEEE Computer Society Press, California, USA, pp. 1156-1159 (2008). 35. M.K. Jindal, R.K. Sharma, G.S. Lehal, "Structural Features for Recognizing Degraded Printed Gurmukhi Script", Proceedings International Conference on Information Technology : New Generations (ITNG 2008), Las Vegas, IEEE Computer Society Press, California, USA, pp. 668-673. (2008). 36. M.K. Jindal, R.K. Sharma, G.S. Lehal, "A Study of Different Kinds of Degradation in Printed Gurmukhi Script,", Proceedings International Conference on Computing: Theory and Applications (ICCTA'07), Kolkata, IEEE Computer Society Press, California, USA, pp. 538-544. (2007). 37. P. Singh and G S Lehal, "Text-to-Speech Synthesis system for Punjabi language", Proceedings International Conference on Multidisciplinary Information Sciences and Technologies, Merida, Spain, pp.388-391. (2006). 38. D V Sharma and G S Lehal, “An Iterative Algorithm for Segmentation of Isolated Handwritten Words in Gurmukhi Script”, Proceedings 18th International Conference on Pattern Recognition, Hong Kong, IEEE Computer Society Press, California, USA, Vol 2, pp 1022-1025. (2006). 39. G S Lehal and M Bhagat, “Error Pattern in Punjabi Typed Text”, Proceedings of International Symposium on Machine Translation, NLP and TSS, New Delhi, pp. 128-141, (2004). 43. G. S. Lehal and Nivedan Bhatt, “A recognition system for Devnagri and English handwritten numerals”, Advances in Multimodal Interfaces – ICMI 2001, T. Tan, Y. Shi and W. Gao (Editors), Lecture Notes in Computer Science, Vol. 1948, Springer-Verlag, Germany, pp. 442-449. (2000). 44. G S Lehal and Chandan Singh, “A Gurmukhi script recognition system”, Proceedings 15th International Conference on Pattern Recognition, Barcelona, Spain, IEEE Computer Society Press, California, USA, Vol 2, pp 557-560. (2000). 46. G S Lehal and Kulwinder Singh, “A study of data structures for implementation of Punjabi dictionary”, Cognitive Systems Reviews and Previews, J. R. Isaac and K. Batra (Editors), ICCS ’99, Delhi, Phoenix Publishing House Pvt Ltd, pp. 489-497, (1999).